Fit and flare silhouette with partial belt at high waist and long sleeves. 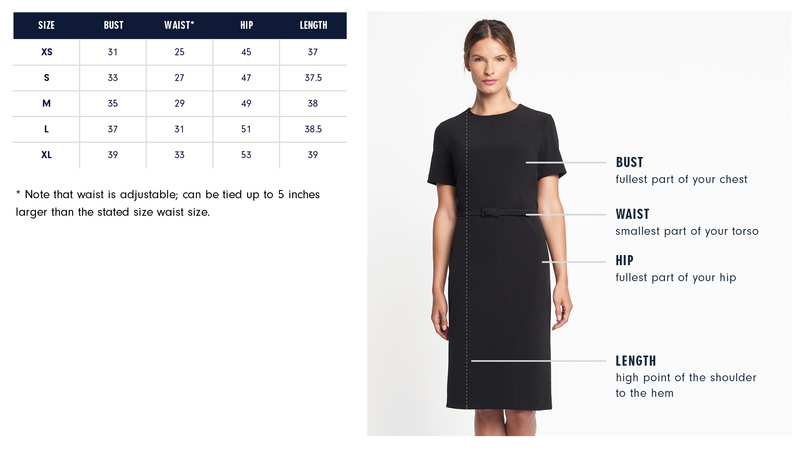 Our model is 5’9” and wearing a size S.
Exact measurements of the Cornelia Dress in the size chart below. All measurements are in inches. Please see our Brand Fit & Size Guide for general brand fit, sizing, and measurements. There is a lot of subtle detail in these dress but my favorite element has to be the inverted pleats at the skirt. They are engineered to lay perfectly flat pre-baby and drape beautifully over a growing belly. Hook & eye at center front allows for crew or V neckline.